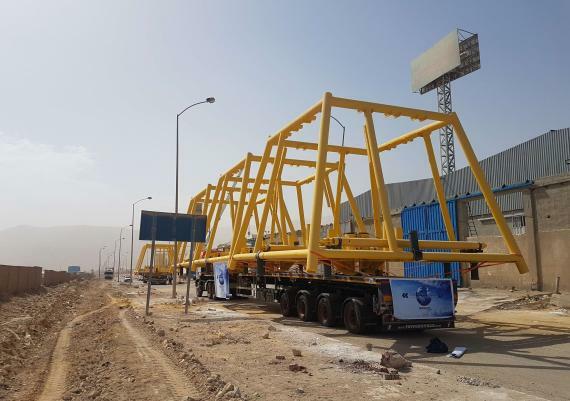 First Global Logistics in Egypt's focus on the oil and gas transport sector keeps moving on the right track with continuous project cargo movements in the beginning of 2018. 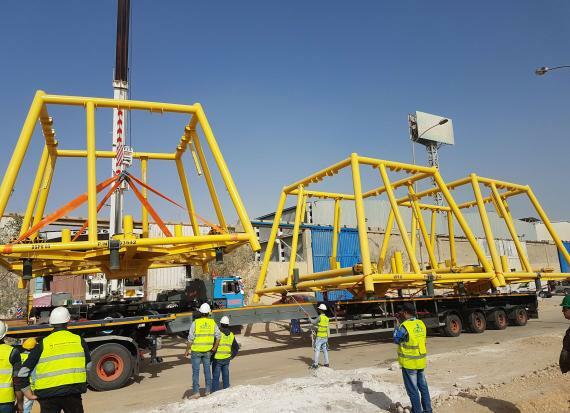 Their latest transport was of 6 huge steel structure units from their client's warehouse in Suez to Mumbai Port for the offshore Indian site of Cameron Co. The transport study from the manufacturers door in Suez City to hook at Adabiya Port took hard work from the First Global Logistics team including a detailed route survey determining the obstacles on route as well as obtaining all road permits and RBA approvals before movement. 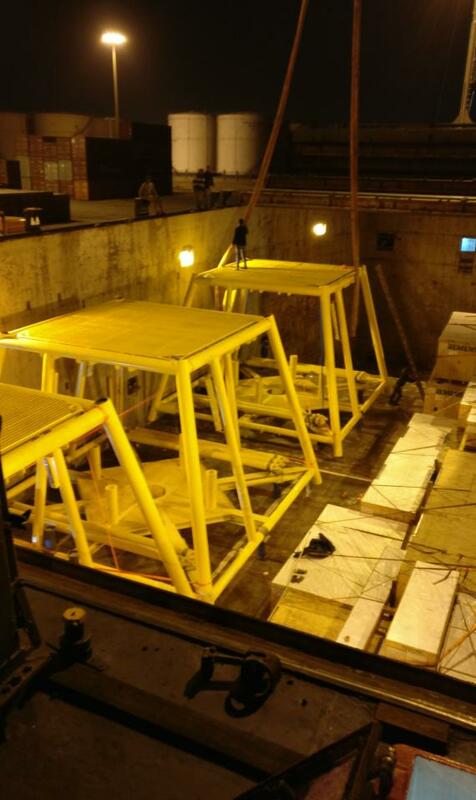 The job itself took 14 hours of difficult work including loading, lashing, transport, obstacles removal, clearance, stevedoring and hooking on deck. Please click below for photos. 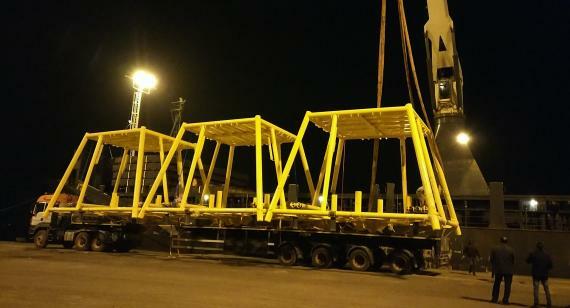 6 steel structures for offshore oil site use. Adabiya Port stevedoring under hook. 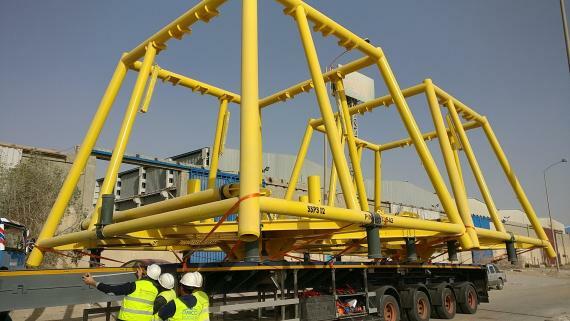 "Due to the size of the cargo, our first option was to make the transport using 2 contiguous low-beds but we found that the road width was too tight to accommodate this. Our 2nd option was to use modular trailers which proved too expensive for the 12km distance. So, we found a 3rd solution using only 2 extendable low-beds with their length extensions of 25m each to carry 3 units per truck and ensure extra lashing materials and driving with the minimum speed for balance and safety. 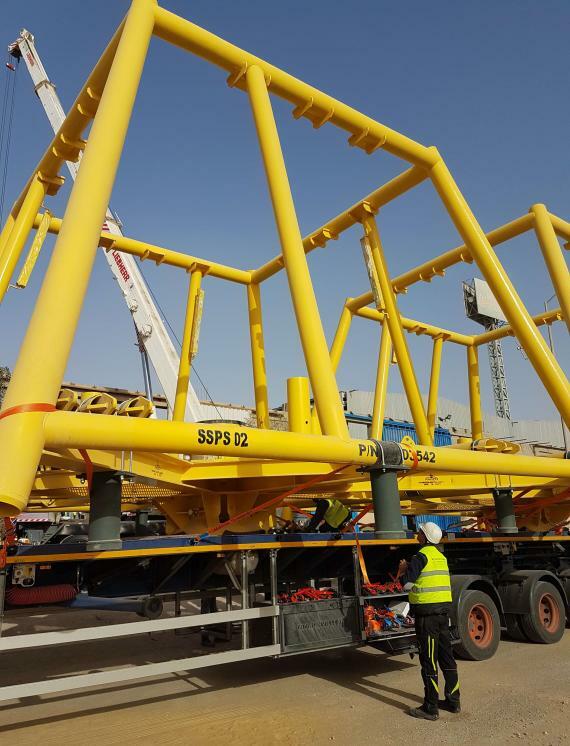 "At the Adabiya Port of Loading, the main gates are about 5m wide but our cargo had a width of 7.5m so we had to use the Port's emergency gates and temporarily remove their steel side doors before gating in the trailers using forklifts and labour."